First established in 1987, Chris Reeve's Sebenza line has carried a reputation for being among the toughest working but most aesthetically-pleasing blades on the market. In 2008, Reeve released an updated and more modern style of Sebenza, the Sebenza 21. Combining a sleek, futuristic design with rugged, durable materials and expert craftsmanship, the Large Sebenza 21 Circuits CGG upholds the legacy of the Sebenza family in a highly functional and attractive knife. 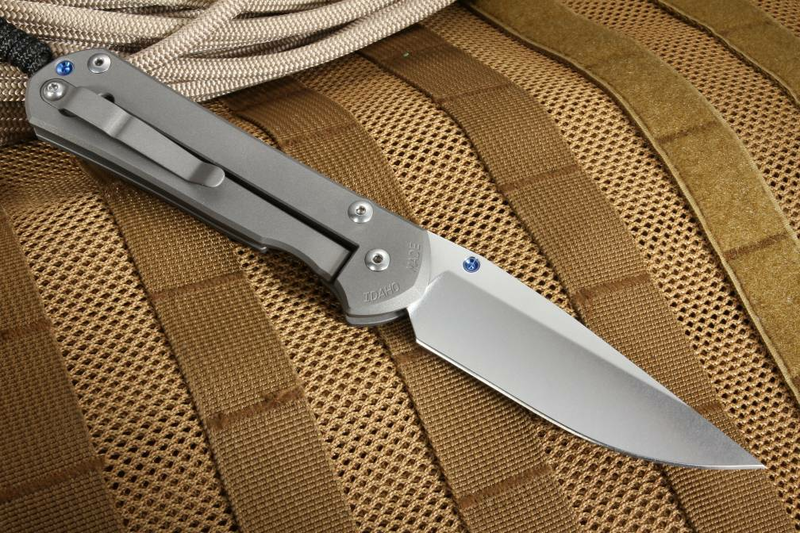 The Large Sebenza 21 features a 3.625-inch Crucible S35VN stainless steel blade. Boasting a Rockwell Hardness rating of 59-60, the 21's blade straddles the line between both excellent hardness and toughness; along with its traditional drop point style and precise hollow grind, the Sebenza 21 is built to work hard, retain a sharp edge, and require very simple maintenance. 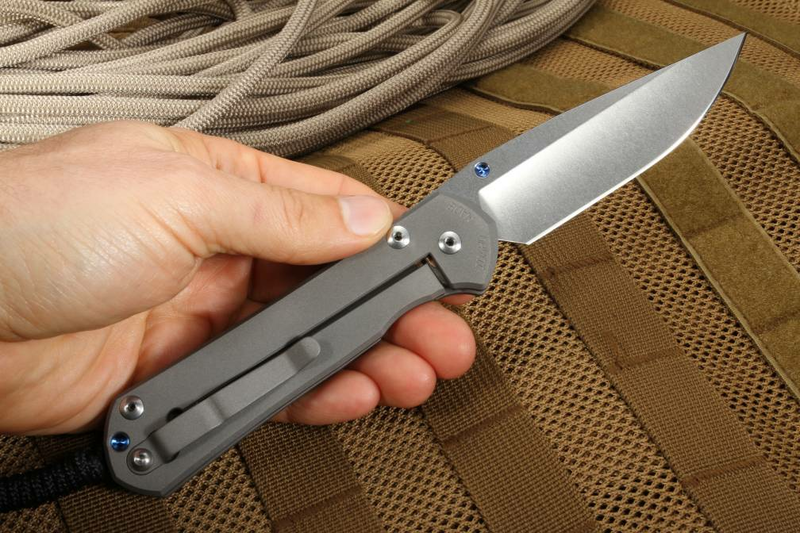 Whether you use it for tactical, outdoors, utility, or simply general everyday carry cutting applications, the Large Sebenza 21 is the ideal pocket folder. 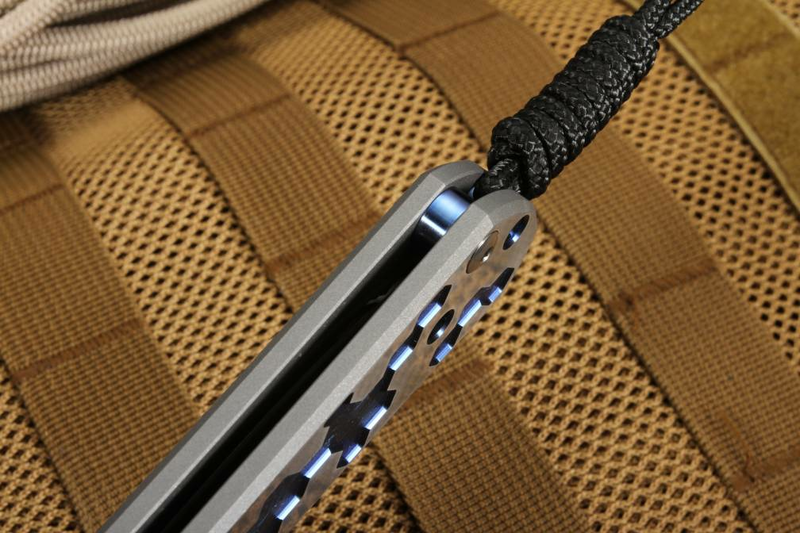 Crafted from strong, lightweight 6Al4V titanium, the Sebenza's handle is just as tough and durable as its blade. 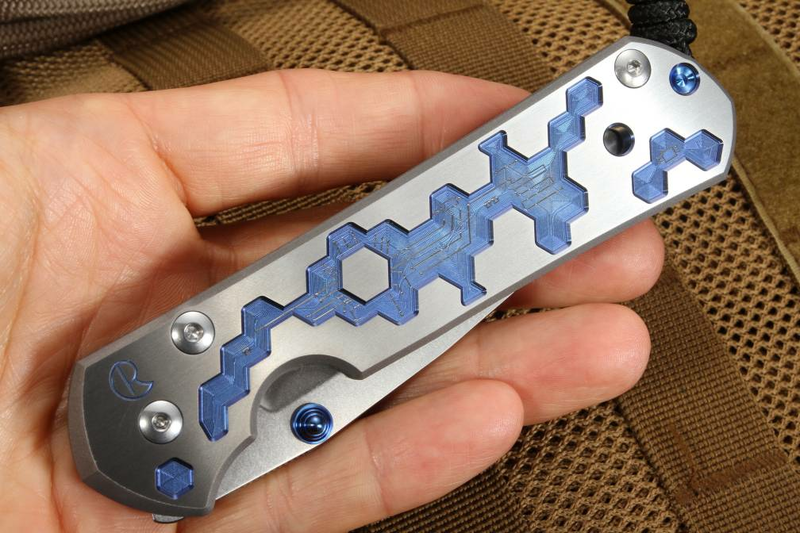 The handle flats are satin finished and feature a futuristic "circuit" computer generated graphic (CGG) design. 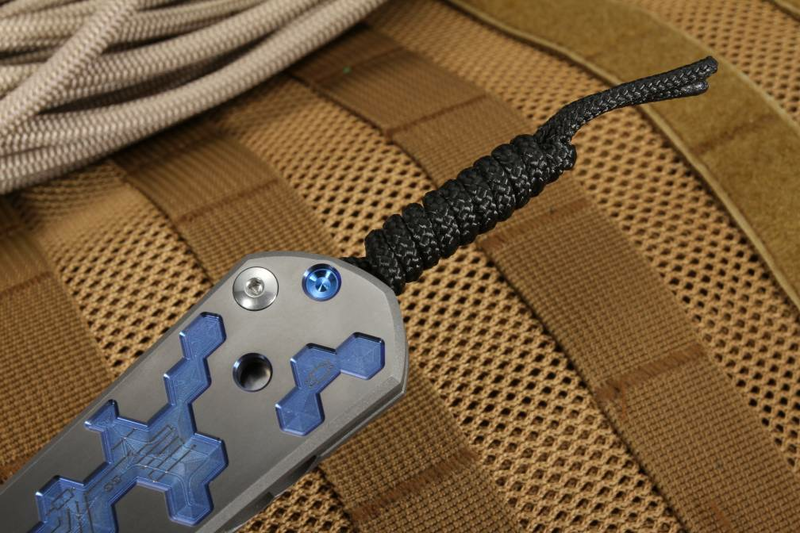 Machine patterned and finished with Reeve's signature anodized blue titanium, the design creates a unique and sophisticated knife you'll be proud to carry and use. 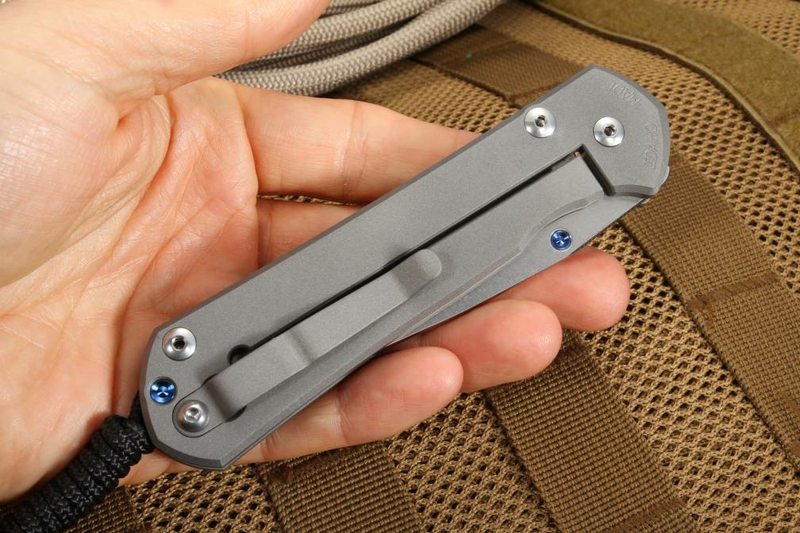 At 4.7 ounces, the Large Sebenza 21 Circuits CGG provides a solid, stable grip while in use, but remains light enough to allow for comfortable everyday carry or carry alongside other tactical gear and equipment. 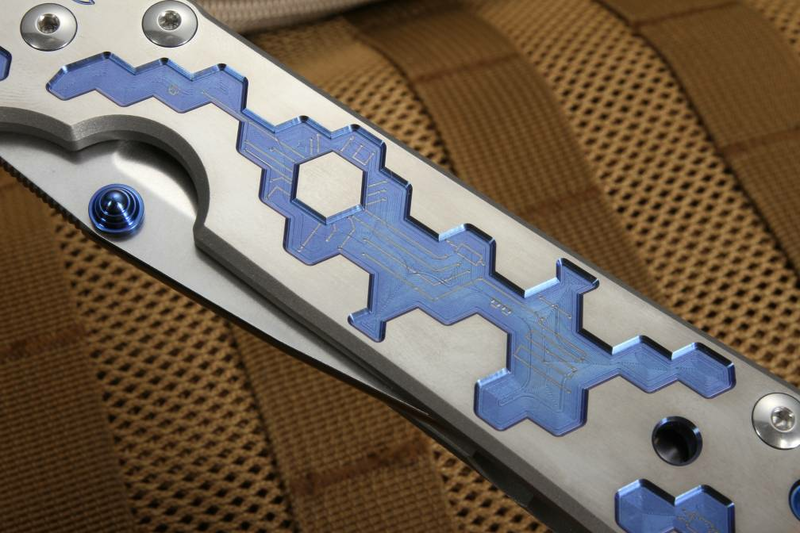 Like its cousins in the Sebenza lineup, the Circuits CGG features Reeve's Integral Sebenza Lock. 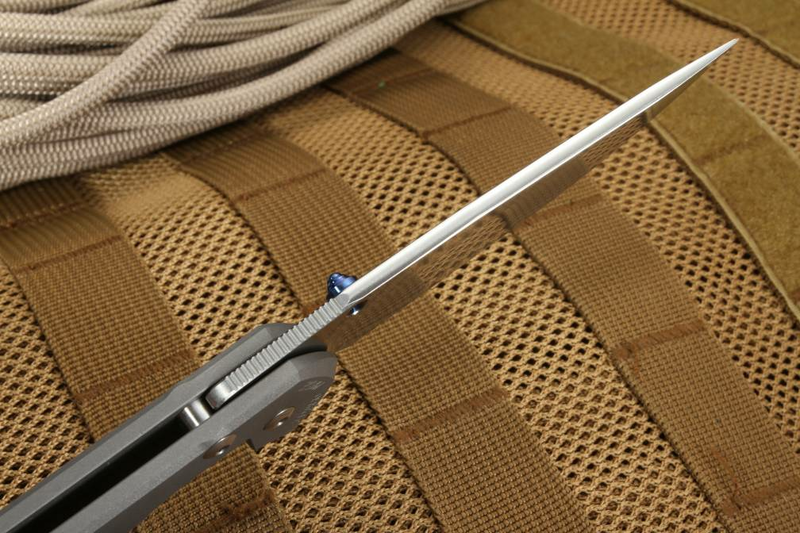 A lock bar constructed as part of the knife's back handle, the Integral Lock system is tougher and more durable than other liner locks. 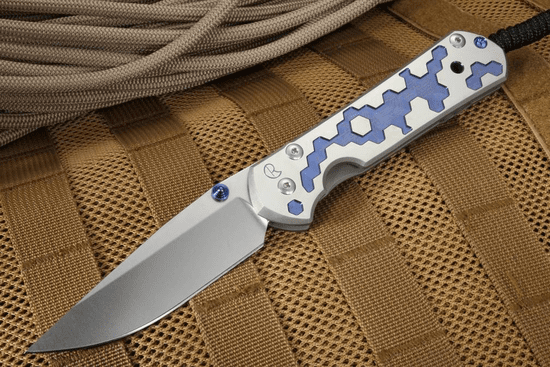 With the Sebenza Integral Lock, the 21's blade is less susceptible to accidental closure or slippage, creating a knife that never backs down in the face of hard work. 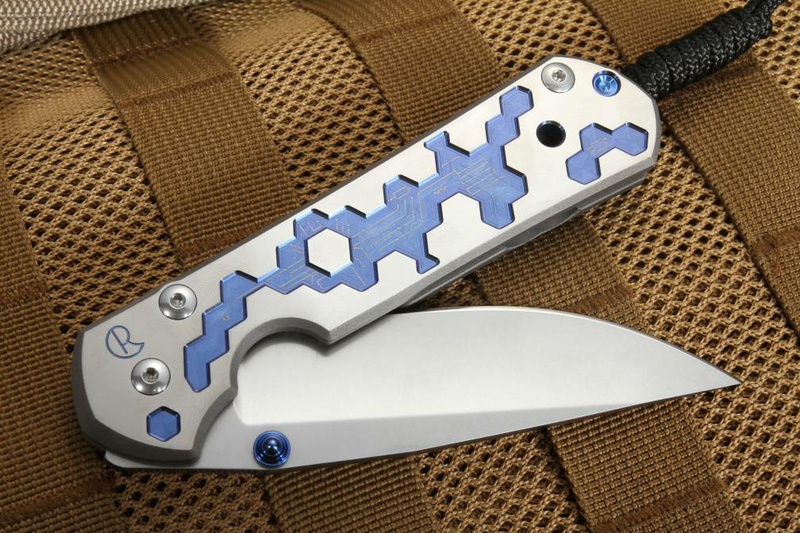 As an authorized Chris Reeve dealer, KnifeArt.com is pleased to offer the elegant Large Sebenza 21 Circuits CGG folding knife. Backed by our full satisfaction guarantee, hassle-free return policy, and fast, free domestic shipping, we are positive you'll be pleased with your purchase. Have been using/collecting CRK folders for almost 20 years and imho they are still some of the best made knives out there. Have many other high end knives, including full customs, and I find myself always rotating back to the Sebenza. At the end of the day, despite all the trends that come and go within the knife industry/community, the Sebenza remains the original, the one that started it all. This piece is as beautiful as it is functional. Thanks KnifeArt! This is my first Chris Reeves Knife and I'll have to say it is top notch! As for the computer graphic, it really gives the knife the extra character that I wanted. The large Sebenza 21 is everything that all the online reviews have said. KnifeArt.com made my purchase a pleasurable one with the bonus swag that comes with the knife along with the free shipping. Thumbs up, good buy!